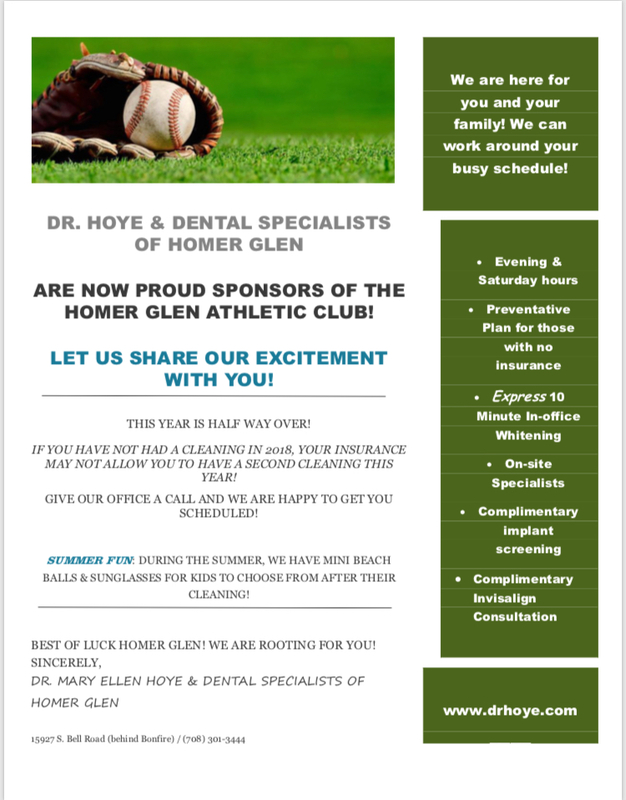 Dr. Mary Ellen Hoye & Dental Specialists of Homer Glen are thrilled to be a sponsor of the Homer Glen Athletic Club! We would like to WELCOME you to our practice & encourage you to join us! We are rooting for our home teams and look forward to seeing you in the community!